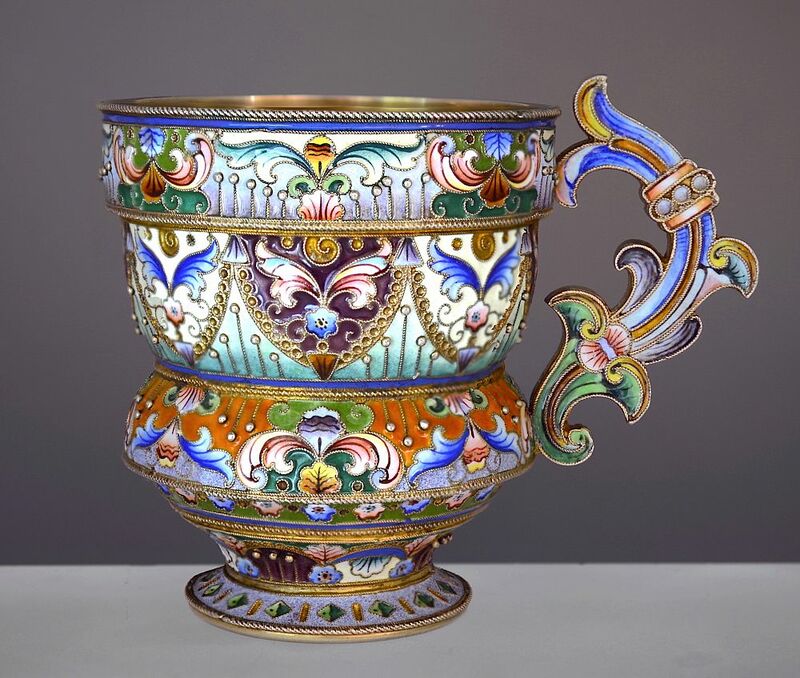 This is a fabulous Russian silver & shaded enamel 3 tiered cup made during the period c1897 - 1907. 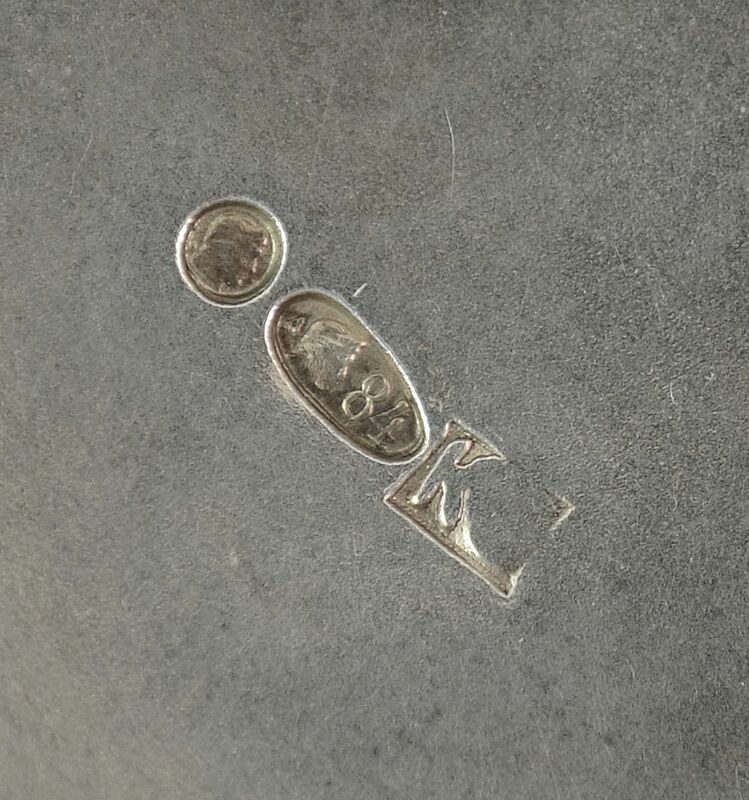 It is marked for Skvortsov and Russian silver. I do not feel capable of describing this lovely cup and so would ask you to feast your eyes on the picture which does it the justice that my feeble description would not.